I’m a big fan of Kramperts AS and just ordered some today after using some old Proraso splash that I had and realizing how much I miss the stuff. TheProraso seems seemed to destroy my otherwise great Shave. So it got me to thinking, are there any splashes out there that don’t contain alcohol? I’m not sure how much it dries out my skin, but it’s something I might look into at some point in time. Witch hazel. I use the generic and find it works as well as the name brands. 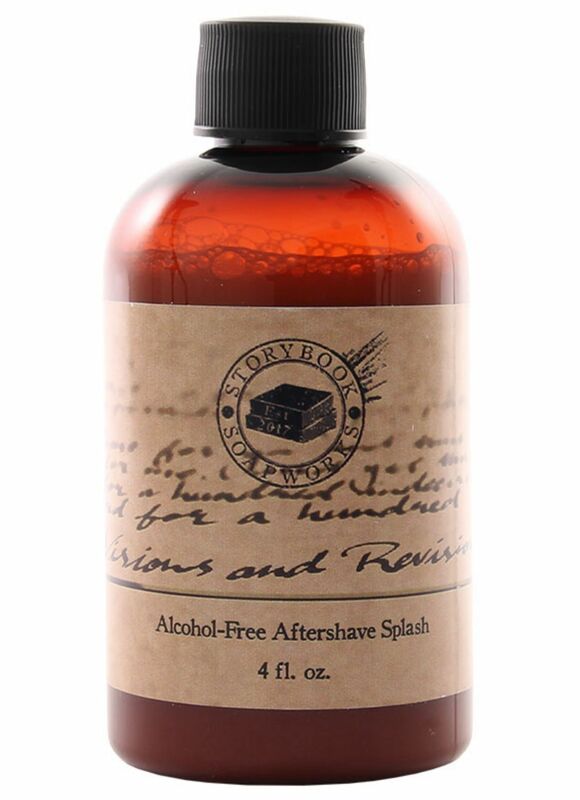 Hey check out Storybook Soapworks, a new artisan making a wonderful alcohol free aftershave. Shannon can whip up pretty much any soap scent we have into a splash. Maybe Larry at CRSW would start making his “Replenish” aftershave again. That was very nice. I believe B&M Latha line has an alcohol free splash. Chatillon lux make a good variety of alcohol free splashes too. I like Lucky Tiger AS & Face Tonic.